Apex takes great pride in being the very best auto glass chip repair service in Morro Bay. We are the very best because we are dedicated to top notch customer service, and our technicians are highly skilled. We have good rates, a friendly staff, and a professional team of technicians, who will get there on time and do the job to your complete satisfaction. 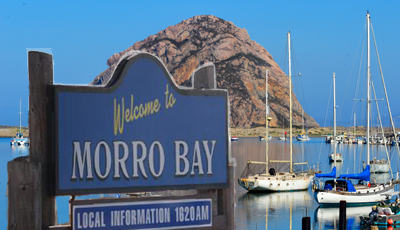 You got that right, Apex will come to you in Morro Bay! Most auto glass chips and small cracks can be repaired at your location. No missed work to worry about, or being inconvenienced at home. Are you aware that small auto glass chips can grow larger and end up costing more money if they aren’t repaired promptly? Apex wants to keep you safe and keep your costs down, so call us now while we can fix your auto glass chip when it’s still no biggie! Wondering how to tell if your car glass chip can be repaired? Luckily we have found that most auto glass chips can be repaired. Here are two things to know; if your glass chip is not larger than the size of a quarter, and is somewhere other than in the driver’s line of vision, then it is probable that it can be repaired. Maybe this description doesn’t quite fit your issue, or you still aren’t sure if your chip can be fixed, no worries, Apex will give you a free assessment and discuss all of your repair or replacement options. Everyone is concerned about their time, but we don’t want you to worry about taking a lot of time out of your day to get your auto glass chip repaired. In most cases, Apex will get the job done in 15 minutes or less! Even if you have multiple chips, or need a full windshield replacement, it won’t take as much time as you may think! Let Apex professionals get you repaired fast, give us a call today. Think you need your windshield replaced? 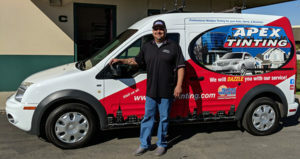 Call us today so we can arrange a free windshield assessment for you!